We have been serving Central Florida with pest control services since 1991. Do you feel like pests have taken over your home? Are you ready to do something about it? At Sterling Pest Control, we are here to help. We provide a number of different pest control services in the Orlando, Florida area and are known for our friendly, professional, and experienced service. Our staff has over 50 years of combined experience in the pest control industry, and our company has been serving the Central Florida area since 1991. When you turn to us for help with a pest problem, you can rest assured that we know what we’re doing. Some of the different pests our services cover include fire ants, bees, wasps, termites, ants, bed bugs, and many, many more. Instead of just killing bugs that we see on the surfaces of your home or business, we train our team members to determine where their colonies are. This way, we can eliminate your pest problem at its source. One of the main things that sets our services apart is that we’re always ready to help you out. We keep our fleet of vehicles fully stocked with necessary supplies and can dispatch one of our friendly exterminators to your home or commercial location shortly after you contact us. Whether you have a residential, commercial, or industrial pest problem, we’re confident that you will benefit from our services. To receive a free estimate or to find out more about why you should make us your pest control company of choice in Orlando, please contact us at Sterling Pest Control today. Tim Beaman has been involved in the pest control industry for 18 years. Tim started out as a termite technician and worked his way up the ladder to a supervisor position. Tim is state certified in Lawn and Ornamental, Pest Control, and Termite. Tim joined Sterling Pest Control in 1993 and started the Termite division and became a small majority owner and co-owner with his brother (Rick). Tim and Rick purchased the company in May of 2007. Tim also belongs to organizations such as the CAI (Community Association Incorporated) and the BNI group (Central Florida Professional Alliance Group). In addition, Tim is very active in the community a high school coach. Our staff has over 50 years combined experience in the pest control industry, and our technicians receive up to one-month classroom and comprehensive on the job training before servicing accounts on their own. We now offer dog bed bug inspections, bed bug treatments and wildlife control under mission and goals. 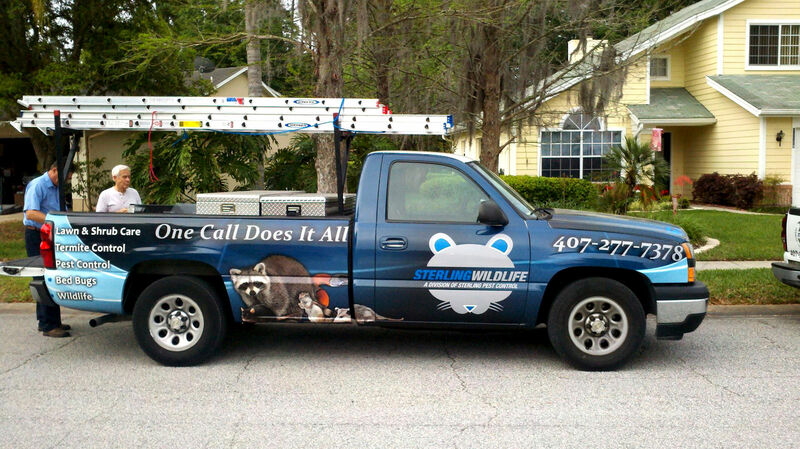 Sterling Pest Control, Inc. has been a locally owned and operated company, in business since 1991. We are a full service company that provides Pest Control, Termite Control, and Lawn and Ornamental Control, and we make it our mission and goal to provide you with worry and hassle-free “Sterling Service at a Fair Price”.